Venezuela has been in trouble for years now. As a tentative solution towards extreme political corruption and an ineffective socialist structure, the U.S. decided to implement sanctions on the country. However, this has crippled the economy even further, and the government, and its players, have been barely affected. Instead, innocent citizens are unable to buy food, medicine and basic products such as toilet paper and tampons. They are the ones that are bearing the weight of these political decisions while nothing really changes. Hypocrisy looms its angry snout over the whole campaign: Colombia is no less corrupt and murders are no more frequent — however Colombia is being helped by the U.S. with armaments, finance and support. The fact that Venezuela has one of the world's largest reserves of oil and the U.S. is one of its greatest consumers should not come as a surprise and we don't think it's a coincidence, as the U.S. are infamous for breaking — sorry, "saving" — only those countries in which its interests are sky high. 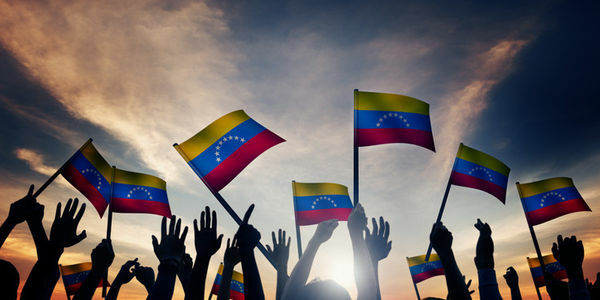 That is why we are asking the U.S. to remove the sanctions on Venezuela, to try and reverse the downwards spiral it has thrown the country into or, at the very least, to give support, food and medicine routes to help the faltering population. The ongoing humanitarian crisis is only bound to get worse and the fault lies wholly on the U.S.